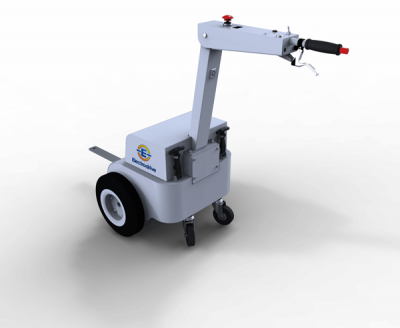 A small but strong battery powered electric tugger for light to mid-size applications. 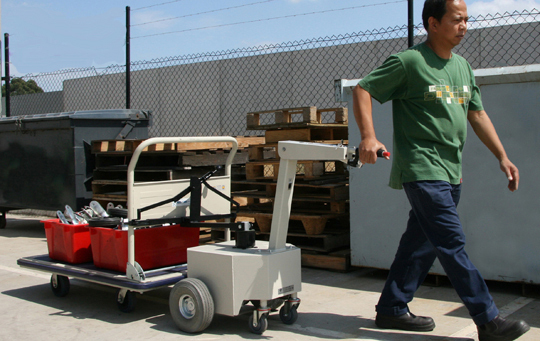 Designed with smaller weights and spaces in mind (up to 500kgs), the Tug Mini is ideal for effortlessly moving lighter duty carts and trolleys such as medical carts or document trolleys. The Tug Compact attaches easily to your trolley or cart. The Tug Compact’s strong electric motor will easily move heavy or awkward loads. This both increases workplace productivity, and minimizes the back and shoulder strain often associated with moving heavy objects. The Tug Compact features an easy to use tiller control which allows the operator to walk in front of the heavy load, providing the operator maximum forward vision and reducing the possibility of accidents when negotiating turns. The Tug Compact incorporates all of the features you would expect in our quality products, including a programmable controller, forward and reverse drive modes, variable speed control, automatic electromagnetic park brakes and emergency brake release.